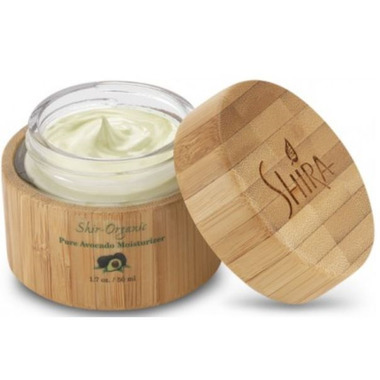 Get a perfectly radiant skin with the regular use of the Shir-Organic Pure Avocado Moisturizer. This pure avocado moisturizer is packed with Vitamins A, D, E, and Lecithin. The goodness of avocado helps make your skin smoother, softer, and more moisturized than ever. A regular application of the avocado moisturizer combats the signs of premature skin aging like stray wrinkles, fine lines, and crow’s feet. It provides your skin a constant dose of sterolins to protect against the sun damage. It is most suitable for dry skin as it hydrates the skin and leaves it completely nourished.